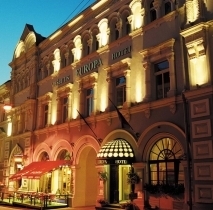 A four-star EUROPA ROYALE VILNIUS hotel lies in its splendor of a nineteenth-century mansion in a peaceful spot in of the Old Town close to the main gates of the city, the mystical Gates of Dawn. To the other side the hotel faces the City Hall and City Square with only a two-minutes walk from the hotel entrance door. 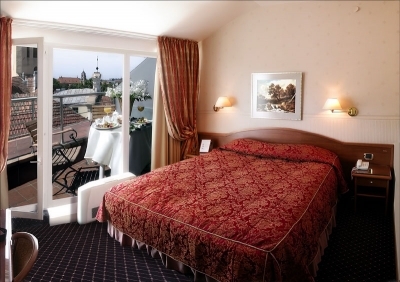 The city's famous landmarks, cozy restaurants, sunny terraces, stylish shopping and cultural offerings are reachable within a walking distance from the EUROPA ROYALE VILNIUS - 4 star hotel in Vilnius. All 54 guest rooms are of different sizes and layouts in order to preserve the former shapes and walls. This gives an exceptional coziness and aura to the hotel. Hotel restaurant MEDININKAI is the oldest restaurant in Vilnius old town with a wine cellar that dates back to 16th century. Hotel also offers two conference/meeting rooms with the latest conference equipment up till 60 persons at a time. 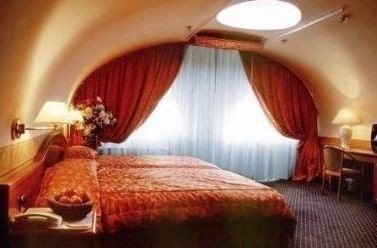 Daily rate includes: hot buffet breakfast, VAT tax, free internet connection. 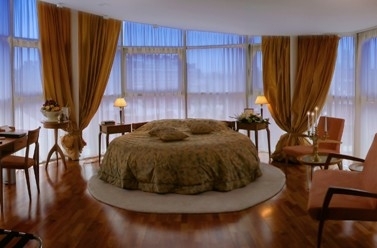 Stay for 3 nights and receive our special rates. The rate includes: hot buffet breakfast, VAT tax, free internet connection. 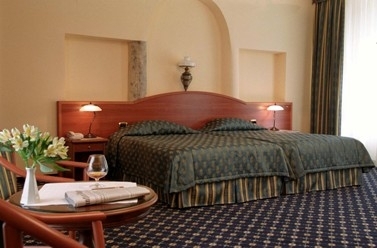 Stay for 5 nights and receive our special rates. The rate includes: hot buffet breakfast, VAT tax, free internet connection. Cozy and spacious room with 2 twin beds and convertible sofa, approx 40sqm is air conditioned, equipped with comfortable relaxation area, writing desk, safety box, free Wi-Fi, mini bar, satellite TV. Bathroom with Jacuzzi, hairdryer, heated bathroom floor, telephone, bathrobe and slippers. 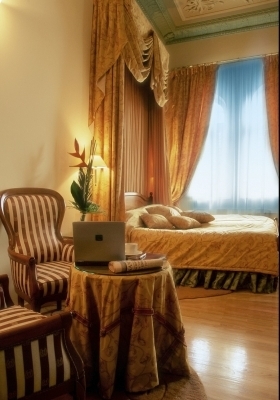 Luxury room with queen size bed, baldachin and authentic 19th century ceiling décor, 50sqm, air conditioned, equipped with comfortable relaxation area, writing desk, safety box, FREE Wi-Fi, Mini bar, satellite TV. Bathroom with Jacuzzi, bidet, hairdryer, telephone, heated bathroom floor, bathrobe and slippers.